Qraa's De-tan Therapy Facial Kit is an instant skin lightening and brightening therapy for your skin. Ideal for all skin types, this cleanser gives instant relief from sunburn and tanning, it is also an excellent remedy to tackle excess pigmentation. Enriched with Cucumber and Sandalwood extracts as the active ingredient, this cleanser soothes the skin, accelerates skin repair process, renews and revitalizes damaged skin cells, evens skin tone and removes discoloration of all kinds, gives youthful and radiant look to the skin. Explore the entire range of Facial Kits available on Nykaa. 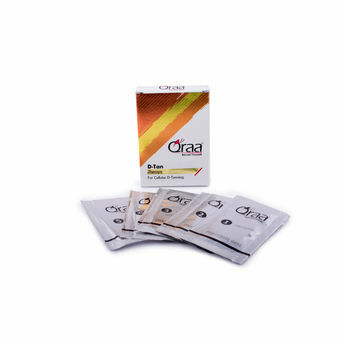 Shop more Qraa products here.You can browse through the complete world of Qraa Facial Kits .